When I visited Waitomo for the first time as a backpacker in the mid 90’s, I was captivated. This tiny little village hides a natural wonderland that to me should be given a lot more credit than it gets. Traveling a lot through Europe when I was younger, I visited many caves, gorges, rivers and forests. Many you had to queue up for, buy expensive tickets to get close and travel lots of km’s to even get there. But people do. Waitomo is only around 2,5 hours away from Auckland. The drive to Waitomo takes you through some typical peaceful NZ countryside. Rolling green hills dotted with Totara’s and Poplars, horse stud farms and some small villages. It’s nothing spectacular, but really beautiful and relaxing at the same time. Then you get to Waitomo. A tiny speck on the map with a campsite, shop, some café’s, restaurants, accommodation, and a hotel that was once Grand. It still looks spectacular in the evening with the lights on it, but is unfortunately a bit run down. Don’t get fooled by this though. In any other country there would be several well-known hotels and shops and real estate would be unaffordable. Waitomo is so worth it, but it has not developed this way. This adds to the charm of the experience, as you feel you are one of the few to know about it, but at the same time it always flabbergasts me. It has got the most wonderful caves. All set in a beautiful natural environment which also hides one of the most stunning short walks you will ever do. Plus a natural gorge and bridge and the most amazing waterfalls. This all within a 25K radius of Waitomo and within easy reach. I wouldn’t wear high heels, but you really do not have to be a well seasoned hiker to be able to experience this all. And if this hasn’t convinced you yet, the underground spectacle will. The caves can easily stand up amongst the great caves in the world with their formations, position and stories. But these still have something extra in store. Floating in the dark, on a little boat or if you’re up for it in a wetsuit on a tire (called Black Water Rafting). You are in total quietness. And then you suddenly see them. Thousands and thousands of little lights, the glowworms. It is absolutely magical. An experience that should be on everybody’s bucket list. 20 years onwards from my Waitomo initiation and many many visits later, I still love going there and experience the magic. I have to admit that I ended up working for the company that manages Waitomo Glowworm Caves and Black Water Rafting. Lucky me, but it is not why I wrote this post. Waitomo is a wonderful wonderland, that deserves to be written about. 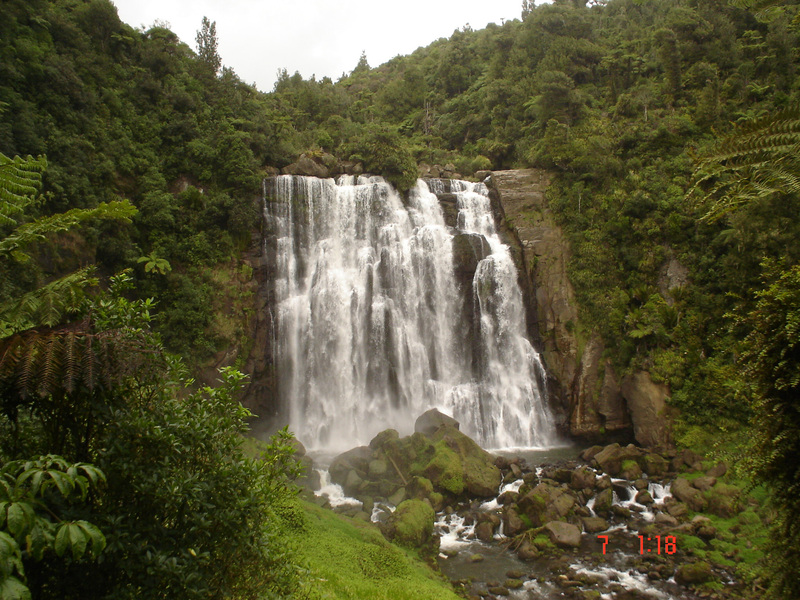 This entry was posted in A to Z challenge and tagged beauty, Black Water Rafting, caves, countryside, credit, glowworms, hike, magic, village, waitomo, waterfalls, wonderful. Bookmark the permalink. Oh…I visited the Waitomo caves back in 1992 and did the black water rafting…it was spectacular!